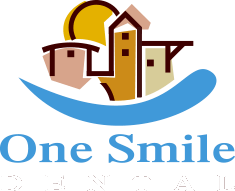 Dental extractions are a common dental practice that consist of removing a tooth from its socket. Both the crown, which is the visible portion of the tooth, and the tooth roots are removed. Teeth that have fully erupted are generally removed through a process called simple extraction, which involves using specialized tools to lift or pull the tooth from its socket. Teeth that haven’t yet erupted are removed surgically, often with the patient under IV anesthesia to prevent discomfort and trauma. If necessary, the extracted tooth can later be replaced by a dental implant or bridge. Dental extractions are usually performed as a last resort when teeth are too badly damaged to be saved, or when leaving a tooth in the mouth will cause more harm than good. There are four primary reasons why you might need to have a tooth extracted.